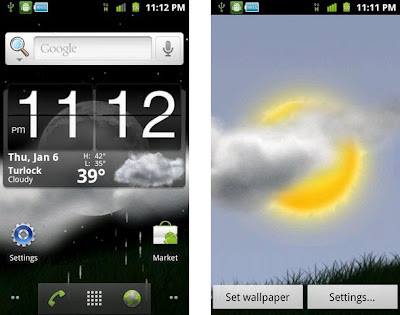 Weather Window Lite is a live wallpaper for your android phone. You can customize to display a weather scene either day or night, and either raining, snowing, foggy, cloudy or clear settings. This live wallpaper app is cool which provides the weather conditions in your locality on your home screen live. Download the app for free from HERE.